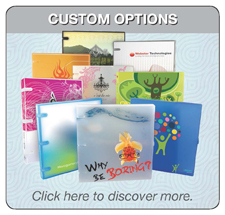 The Safety-sleeve® brand of disc binder pages are designed for optimum storage for all disc formats. Their tabs allow for easy indexing and fit all standard 3 rings binders. The Safety-sleeve® protection cushions prevent discs from getting scratched and damaged. 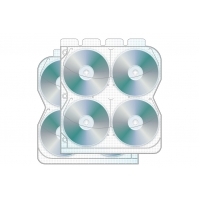 These disc protectors fit perfectly with our UniKeep™ Case Binders. Patented Safety-sleeve® design offering premium protection uses a unique, non-woven fabric to trap dirt and debris away from the disc. Poly construction is 100% recyclable while the design preserves the optimum lifespan of the disc and contents. As low as $0.370 per sheet! 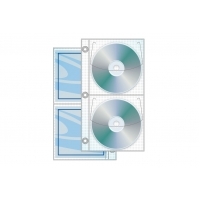 White polypropylene Full Binder Disc Page with Safety-sleeve protection, and tabs for easy indexing. As low as $0.353 per sheet! As low as $0.318 per page! 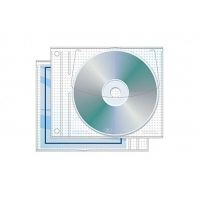 White Half Binder Disc Page with Safety-sleeve protection and lift-up flap. 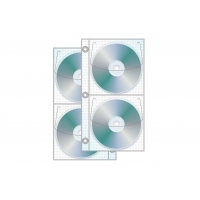 Holds two discs and two graphics, and fits standard three ring binders or UniKeep Binders. As low as $0.119 per page! Polypropylene Jewelpak Page with lift-up flap. Made with Safety-sleeve® protection.